After being one of the talking points throughout January, Adrien Rabiot's future seems to have calmed down, althoug the countdown has begun for when the midfielder can leave Paris Saint-Germain for free, on June 30. PSG president Nasser Al-Khelaïffi, backed by sporting director Antero Henrique, decided to freeze Rabiot out of first team duty when he turned down the club's umteenth offer of a new deal. The French side's coach, Thomas Tuchel, supported the player. The German knows all about Rabiot's quality and above all he has needs in midfield. 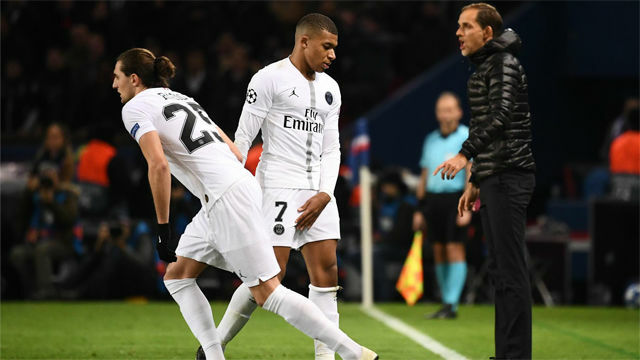 Tuchel attempted to convince Rabiot to renew. When it became clear he wouldn't, the coach asked that he not be frozen out and the club continue to use him until the end of his deal, appealing for "professionalism" from everyone involved. PSG listened to the extend that he was allowed to return to first team training. They also kept him registered for the Champions League. But he did not travel to Manchester for this week's Champions League game against Man United despite a number of absences in the squad (Neymar, Cavani and Meunier). Since the winter window shut, there has been silence from Rabiot and his people. Serious family problems have perhaps been behind that and closed down the possibility of a late January move to Tottenham. Mauricio Pochettino wanted him and Spurs would have paid 20 million. In the end, all the options PSG hoped would materialise and bring in some money (as opposed to losing him for free) disappeared. In principle, Barça have the advantage in terms of signing him for free this summer, although Jurgen Klopp's Liverpool will also move for him. Manchester United have also emerged as an option.